P.K. 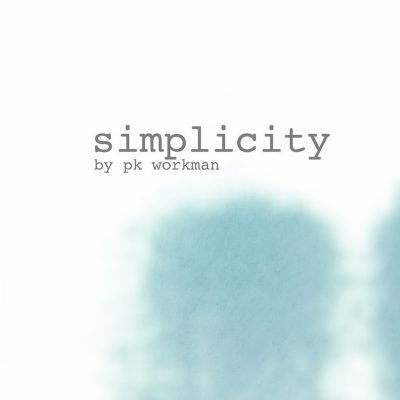 Workman, or Paul K. Workman, is a local singer-songwriter who just released his first full-length album: Simplicity, which, though similar to his 2015 EP release, Utah Sky, is a moodier folk album. Workman fills Simplicity with an enjoyable and aesthetic acoustic foundation, and Workman layers the songs with spurts of the harmonica, percussions, maracas and the electric guitar for a little folk rock atmosphere. Simplicity includes three “simple” songs: “Simplicity Part 1,” “Simplicity Part 2” and “Simplicity Part 3.” These are short, acoustic, instrumental short tracks that frame the rest of the album. (”Simplicity Part 3” is only 33 seconds long.) These tracks drive Workman’s idea of “simplicity”: a song doesn’t necessarily have to be long, packed with lyrics or crazy instrumentation. Sometimes a simple song is still a good, impactful one. “I’m Making My Way Home” is a more upbeat track. The track fades in (rather than out) and transitions into lower-note chord progressions and higher note riffs. This track emphasizes the instrumental rather than the lyrical. Workman hones in on the tone of the “feel good” in American folk music. Simplicity is mostly acoustic, with the exception of “My Sons, which departs from the rest of the album as a moodier, electric folk song. About halfway through, in comes the high, moderately tempo electric guitar, played over the percussions and acoustic strumming.